Hotel rooms remain one of the most popular choices for Adelaide accommodations. Unknown to many travellers, the innovation of serviced apartments sets them up for a more rewarding experience right in South Australia's cosmopolitan capital. Tourists, students, families and business people can altogether benefit from a fruitful stay in contemporary serviced short stay apartments Adelaide City has to offer. Corporate Keys presents a way better alternative to hotels for those looking for short term accommodations, with fully-furnished short stay apartments ideal for every traveller. Our luxury accommodations also give the best value for money for long stays of more than 28 days. We all know that there's no place like home, and your home away from home is what we are! Why Choose a Short Stay Apartment in Adelaide? Serviced apartments can make a big difference on your stay and your budget. Get the same amenities and services you'd expect from a five-star hotel, only cheaper, bigger, and even more comfortable. Corporate Keys Adelaide accommodations wraps you in the best of both worlds with the opulence of a hotel and its top-class services, while giving you everything you need within the comforts of a homelike environment. Indulge in luxury accommodation without the worry of tremendous hotel rates. Corporate Keys serviced apartments in Adelaide are unmatched in quality and affordability, providing stylish lodgings at a reasonably low cost. Gain more savings by cutting back on meals you eat out, cooking right in your kitchenette, storing groceries in the fridge, and doing your own laundry. On average, a serviced apartment is about 30% larger than a hotel room. Corporate Keys offers serviced apartments that are up to 50% larger the size of Adelaide hotel rooms, made available to you at almost half the price! Enjoy more space to settle in, a non-cramped place to move about and entertain guests. Each short stay apartment in Adelaide comes with a kitchen and laundry area with washers and dryers. Feel cosy and warm within a homely atmosphere that gives you plenty of room to rest, spread out and get comfortable. Relax and unwind after a long day of doing business. Spend quality time with your family in the living room complete with gadgets like a DVD player, music system, Wi-Fi and more. A serviced apartment in Adelaide has the added benefits of housekeeping services while allowing you your privacy. Corporate Keys luxury serviced apartments has your home away from home waiting for you! Our Adelaide accommodations can take in project teams, relocating employees, company executives and anyone out to do important business in greater Adelaide's innermost locality. We offer a myriad of high-class serviced short stay apartments for corporate accommodations that arrive with a concierge, laundry service, fast internet, phones, faxes, and business facilities. You can conveniently make use of your own spacious lounge for your team training, group function, or presentation. South Australia's most notable locations are merely a stone's throw away from your Corporate Keys serviced apartment in Adelaide. Our Adelaide accommodations CBD prime location promotes easy access to public transportation and keeps you close to the city hub to see the best spots day or night. Spend more time having a good holiday doing some shopping, dining and city explorations while you do business in Adelaide altogether. Adelaide is one vibrant city small enough to make getting around quite easy, but large enough to give something amazing for every visitor and travellers of all ages. Whether traveling for work or packed with the entire family, you can easily get some leisure done during downtime if you choose to stay at Corporate Keys. Embrace the thriving culture, arts, good food and wine, and soak in the wonders of this part of the globe. Discover Adelaide's central cultural hub by simply taking a stroll past inviting gardens, the Parliament building, Festival Theatre, and Government House. Walk further, and you'll come across the State Library, South Australian Museum and Art Gallery right next to each other. Adelaide boasts brilliant ocean views, white sands, and majestic beaches to bask under the sun. Visit the busting beach-side suburb Glenelg, Henley and Grange with the laid-back vibe of wooden piers, old-school pubs, and cafes. Drive down to Semaphore for the ultimate retro experience. Adelaide is famed for world-class wine regions like Clare Valley, Barossa Valley, Coonawarra and McLaren Vale. Not only can you taste good wine, but fire up your taste buds as you sample gourmet cheeses, crackers, fruit and nuts. Head on over to Adelaide's East End at Rundle Street, a place imbued with historic charm and modern elegance. The popular street is lined with countless shops and restaurants, cinemas, clubs, hotels, and designer fashion. Enter the Southern Hemisphere's biggest market, with more than 80 stalls buzzing with life in a single undercover area. The Central Market in the heart of Adelaide is the food Mecca of the freshest produce, multicultural products and cuisine. Adelaide is quickly rising as Australia's lifestyle capital, and serviced apartments are fast becoming the choice of luxury accommodations over hotels. The elegant city is celebrated for its exquisite wine, food, culture, small-bar scenes, fun festivals and more. Make sure you don't miss out on any of Adelaide's hidden jewels by booking with Corporate Keys. Our Adelaide short stay apartment accommodations are strategically placed on the perfect spot in South Australia. Let us take you anywhere within the CBD, whenever you want. We put you in the middle of all the action to make your short or extended stay more enjoyable amidst a busy business schedule, and a memorable vacation for the family. Corporate Keys' great range of serviced apartments Adelaide City offerings are each equipped with excellent facilities. Every room has been completely furnished and particularly tailored to meet the needs of those wanting to find the best place to stay in Adelaide. Our fully furnished serviced apartments and residences recreate that lovely place you call home, making you feel most comfortable to fulfil your idea of a great, luxurious vacation packed in a business trip. Have you considered these Adelaide furnished apartment buildings? 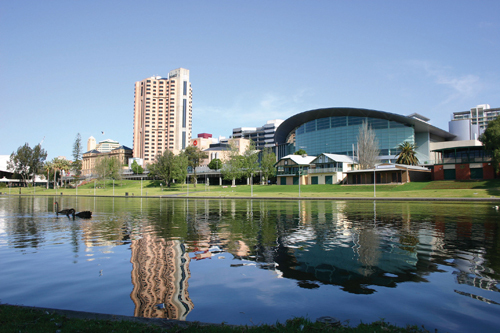 Have you considered these suburbs for Short and Long Stay Adelaide accommodation? Still not convinced? Click to read reviews from guests who have used our Adelaide accommodation solutions.